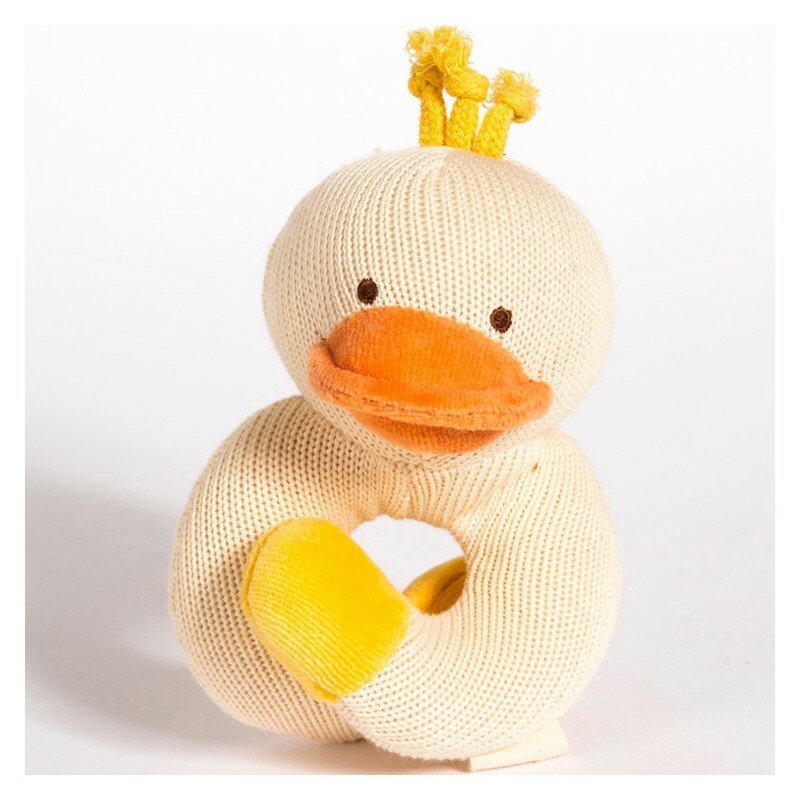 A knitted rattle teether made from certified organic cotton, and filled with recycled fiber. Certfifed non-toxic, and made using a low eco impact dye process. Safe for children 0+ months. 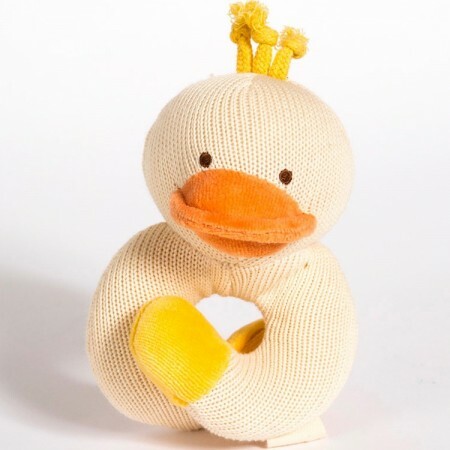 Yellow duck character. 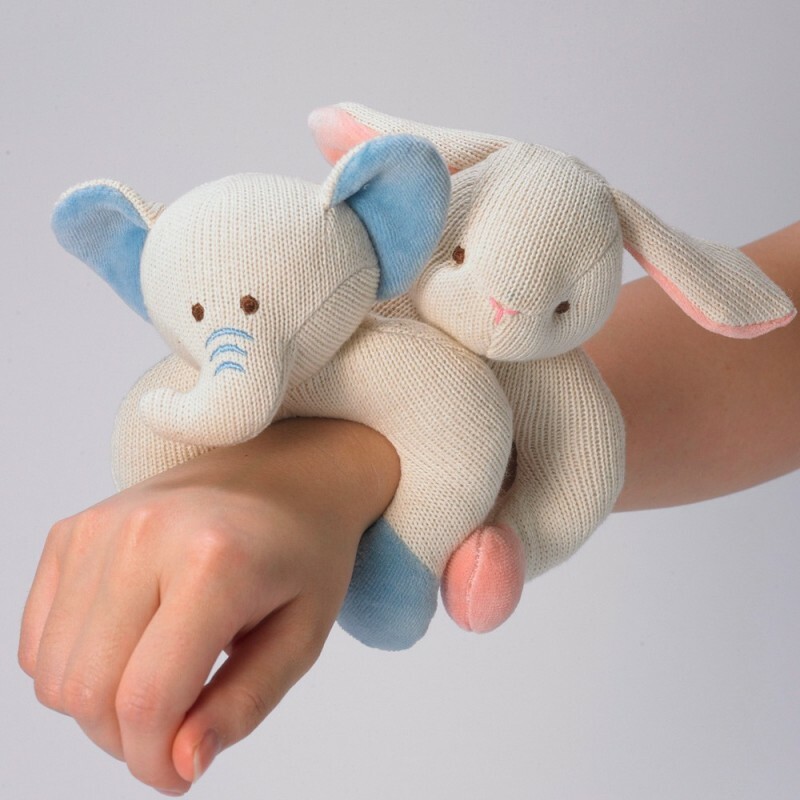 Made from certified organic cotton, and filled with recycled fiber. Coloured using a unique PureWaterWash process. Safe for children 0+ months. Roughly 15 (L) x 10 (W) cm. Certified organic cotton, with recycled fiber filling. Browse our other safe soothers and teethers.